Two days ago I was stuffing my pie hole at Another Broken Egg Cafe (if you haven’t been to this one-part indulgent, one-part healthy Southern comfort food spot, it’s worth checking out!) when I noticed a bunch of animals dressed as hipsters on the wall. Of course this would catch my attention. Of course. 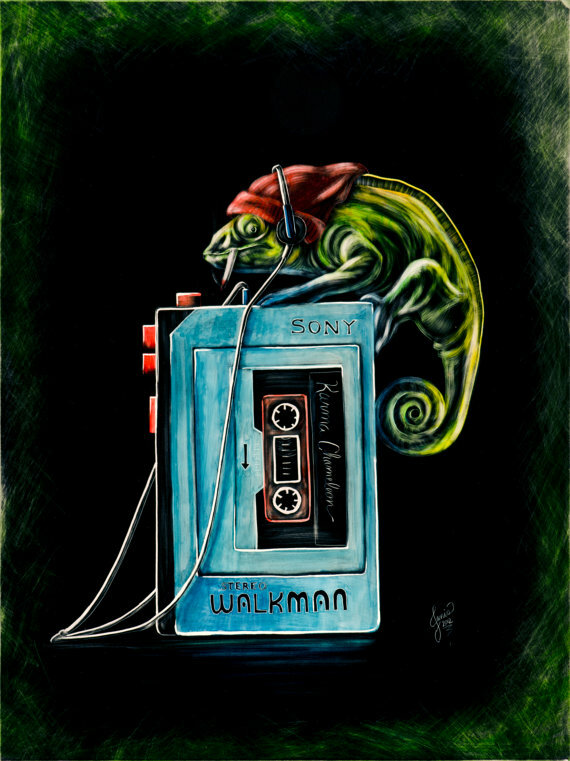 How can a bunch of cutesy hipster animals not catch your attention? Huh? HUH?! If they don’t catch your eye, then a piece of you has died! 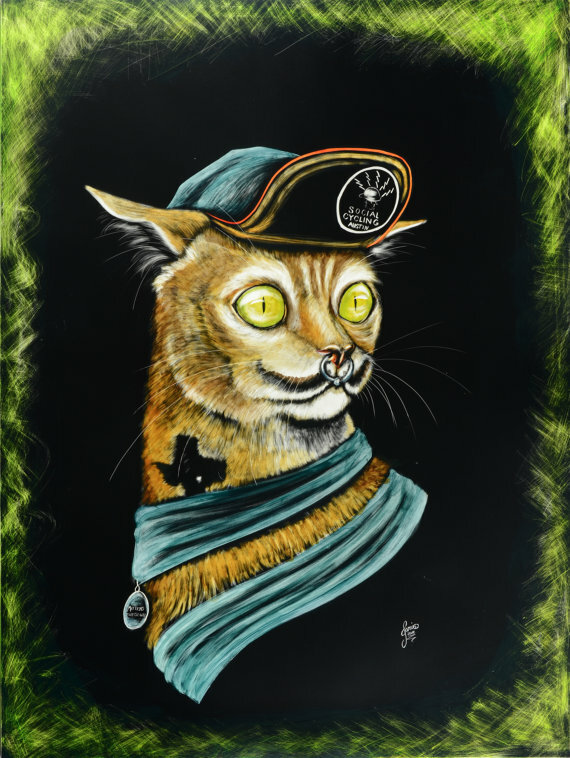 The collection, done in scratchboard style by a local artist named Janis, is called “Eastside Zoo” in honor of the hipster animals of East Austin. 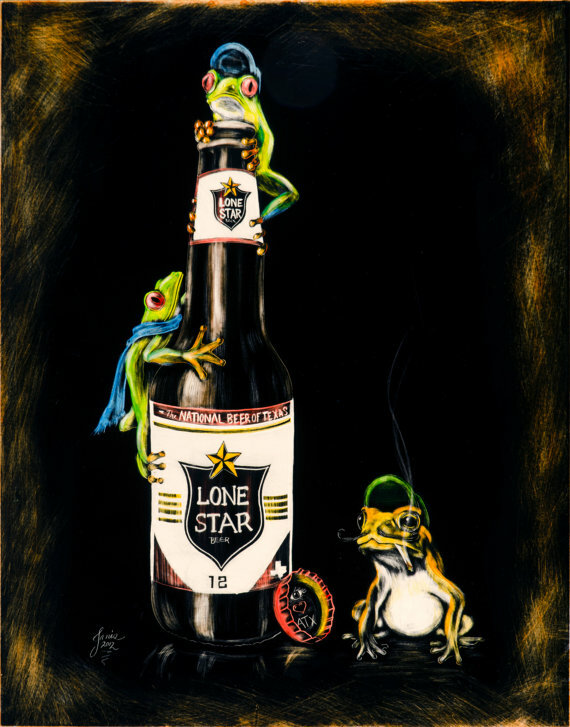 At the Eastside Zoo, we have cats with Texas tattoos, frogs drinking Lone Star and armadillos DJing. 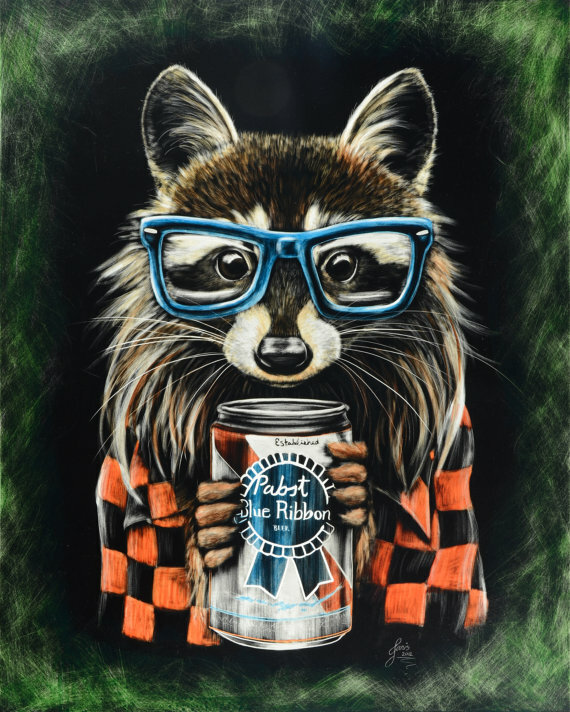 I’d like to think of myself as the raccoon with a flannel. Reprints of Janis’ work are for sale for $20 on her Etsy page Creative Scratchings. 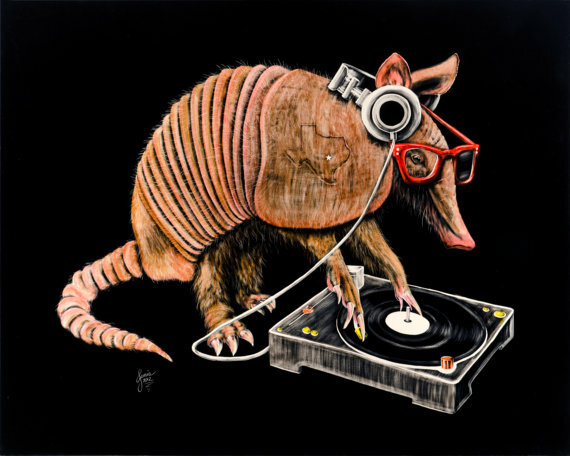 Is it weird that I want to invite the raccoon and armadillo to my Hipster Birthday Party next month? You should invite the whole gang! Hi I’m late to this, but I dig it. Discovered Janis Fowler on Twitter via Sons of Zeus. A sweet Dali portrait got me interested. I make homemade pocket notebooks and am looking for people who want to collaborate on making the most captivating covers. If you’re interested you can tap in here: toe at tinytoepress dot com. Life is good.